California recently amended its existing law governing inquiries into and the use of juvenile criminal information. Effective January 1, 2017 employers will be restricted from asking about, seeking, or using a California applicant/employee’s juvenile criminal history in the employment context. This is a very important protection for all those job seekers who have been arrested and / or convicted of crimes during their younger years, as this law will help them return or continue to remain part of the workforce without suffering the consequences of their juvenile years mistakes. An employer is entitled to a subjective view and opinion of your job performance. The fact that you disagree with your review or believe it’s false or unfair, and the fact that you think that you are very good at what you do, doesn’t make that evaluation illegal. The same applies to warnings or any other disciplinary action. 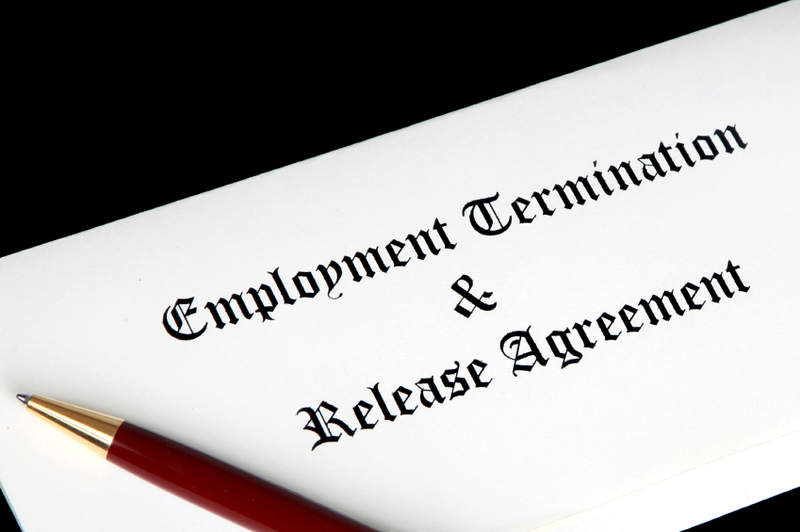 Employers in the San Francisco area routinely offer severance package to the employee they lay off or fire or even to those employees who choose to resign. This severance may include monetary compensation, additional stock options, continued health insurance coverage and other possible benefits. The amount of severance can be more or less generous and it can be more or less negotiable. The fact that an employer offers you severance doesn’t mean that you have or don’t have some kind of legal claim against them and it doesn’t mean that they believe that they violated any of your workplace rights. (a) A gesture of good will – employers offer severance because they have an interest in preserving a good will in the industry and make the transition of a separated employee to another job easier, and discourage the employee from saying about things about the company by making that employee a confidentiality and non-disparagement agreement. Of course, severance payment is not guaranteed to achieve this goal, but softening the overall impact of termination is a good business practice. 1. I can sue my employer because I am being treated really badly. The are many ways in which an employer can treat an employee badly – from unfair performance reviews, false rights ups, to micromanaging, yelling and using degrading language. However, the vast majority of those types of behavior are not illegal. Being treated badly, whether you think it’s bullying or harassment, is not against the law, unless there is specific evidence that the actual reason for that bad treatment is discriminatory, i.e. your rage, age, sexual orientation, disability, familial status, etc… or retaliatory (due to complaining about unlawful actions of a specific kind). Otherwise, no legal claims can be made based on unfair or harsh treatment by the employer. A dispute often arises between an employee and his manager over a particular aspect of the issued performance review. As an employee, it’s important that you keep in mind the your employer has a wide discretion in expressing his opinions about your performance. The fact that you feel that your performance review is unfair or too harsh generally does not give rise to any legal issues or claims, unless there is actual evidence that the reason for that bad is discriminatory or retaliatory (i.e. based on your being a member of a protected class, or due to you engaging in a protected activity, as defined by law). Should you sign that bad performance review that was issued to you? There is no reason not to. In most cases, by signing your review, whether it’s positive or negative, you only acknowledge that you have received it and read it. It doesn’t mean that you agree with its contents. Of course, before you sign you should read the fine print below or above the space for your signature that says what the meaning of your signature will be exactly. Signing your performance review has no legal significance. On the other hand, if you refuse to sign your performance review because you disagree with it, you can be accused of insubordination and disciplined as a result, which would be perfectly legal. Moreover, one court recently held that an employee who was fired for refusing to sign acknowledging receipt of a document was disqualified from unemployment benefits. Workers at businesses as small as 20 employees may soon snag certain perks after Tuesday night’s final vote on an amendment to San Francisco’s family-friendly workplace law. The city-county’s Family Friendly Workplace Ordinance – sponsored by eight of 11 supervisors last July – passed on the second reading and was signed into law by Mayor Lee in October 2013. This law allows San Francisco-based employees to request flexible hours, predictable working arrangements or work from home to better handle their care-giving responsibilities. The main test of an employment relationship is whether the person to whom service is rendered has the right to control the manner and means of accomplishing the result desired. S.G. Borello & Sons, Inc. v Dept. of Industrial Relations (1989). The process of distinguishing employees from independent contractors is fact specific. The right to control retains significance, but is no longer determinative. State Compensation Ins. Fund v Brown (1995). While the right to control work details is the most important consideration, the authorities also endorse several “secondary” factors of the employment relationship. The courts also noted that the “control” test, applied rigidly and in isolation is often of little use in evaluating the large variety of service and employment arrangements that can potentially exist. The secondary factors usually considered by courts are (1) whether there is a right to fire at will without case; (2) whether the one performing services is engaged in a distinct occupation or business; (3) the kind of occupation, with reference to whether, in the locality, the work is usually done under the direction of the principal or by a specialist without supervision; (4) the skill required in the particular occupation; (5) whether the principal or the worker supplies the instrumentalities, tools, and and the place of work for the person doing the work; (6) the length of time for which the services are to be performed; (7) the method of payment, whether by the time or by the job; (8) whether or not the work is a party of the regular business of the principal; (9) whether the parties believe they are creating an employer-employee relationship; (10) whether the classification of independent contractor is bona fide and not an obvious attempt by the employer to avoid employee status; (11) the hiree’s degree of investment other than personal service in his or her own business and whether the hiree holds himself out to be in business with an independent busienss license; (12) whether the hiree has managerial skill; and (14) whether the service rendered is an integral part of the alleged employer’s business. Sotelo v Medianews Group, Inc. (2012). The label placed by the parties on their relationship is not dispositive, and subterfuges are not countenanced. Antelope Valley Press v Poizner (2008). Thus, signing an independent contractor agreement is not dispositive and is often of little significance to determining whether a worker is an employee or independent contractor. 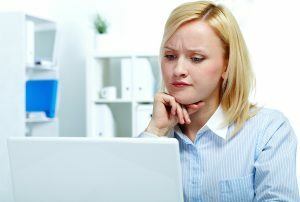 As much as I didn’t want to believe in this for a while after I started practicing employment law, my experience suggests over and over and in the vast majority of cases, when an employer issues a PIP (performance improvement plan) to an employee, this means that the employee will be fired shortly after. The PIP might make it sound like the employer is interested in having you improve your performance and address the issues outlined in that disciplinary documents, and they are even offering you various resources to help you along the way, such as employment assistance program (EAP), etc. However, the reality is that most likely your management has already made the decision to terminate you, and now they are just creating paperwork to create “history” of performance issues to make the termination look more legitimate and less likely to be challenged by that employee in court, or at an administrative hearing, if applicable, and to also make it look like they gave you a chance to improve before terminating you. If you have a received one of those 30-day or 60-day or 90-day PIP’s, you should consult with an experienced employment attorney about the various options of dealing with the PIP. First, the attorney should analyze your potential termination and determine whether there likely to be a potential evidence of discrimination, retaliation and wrongful termination. If it appears that the employer might be trying to get rid of you for unlawful reasons, you can work with your attorney on gathering evidence to support your future case, and take steps on enhancing any potential wrongful termination and discrimination case before you have been fired, so that once you are terminated – you have a stronger case against your employer. After Carie Charlesworth was terminated from her teaching job due to security concerns about her estranged husband, the California mother championed legislation to make sure no one would ever have the same experience of being fired. This past Friday, Charlesworth got her wish when Governor Brown signed a measure into law to protect victims of domestic violence from losing their jobs and workplace discrimination. The new legislation will go into effect on Jan. 1, 2014. Charlesworth said she was put on leave from her position as a second-grade teacher at Holy Trinity School in El Cajon, California in January 2013, after her ex-husband, Martin Charlesworth, 41, showed up that month in the school parking lot, prompting a campus lockdown until the police arrived. The couple divorced two years ago and Charlesworth said she got a restraining order against her ex-husband because he had been physically abusive. She said she also made her principal aware of the situation. In April 2013, she received a notice that said the “unfortunate and challenging situation” created by her ex-husband would result in her contract not being renewed for the upcoming school year.